Windows7 beta was leaked on torrent network. Many downloaded and installed Windows7 Â to test out new baby from Microsoft. Official Windows7 Beta release should happen very soon in Jan 2009. Windows7 beta comes with fresh load of cool official wallpapers. 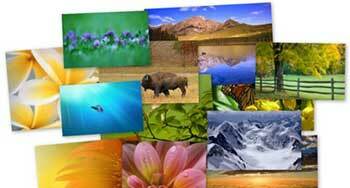 There are over 40 colorful wallpapers gracing Windows7 desktop. While we wait for official Windows7 Beta release, you can relish Windows7 wallpapers on Windows XP or Vista. Download Windows7 beta wallpapers packÂ [via]. More Windows7 wallpapers here and here.